Find below the list of top CISCE / ICSE schools in Bengdubi - Darjeeling with phone number, address, 360° School tours, 2018-19 Admission forms & Fees, photos, facilities & more. In case the school you are looking for does not exist on our website, why don't you let us add it to our portal by clicking here. 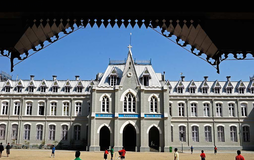 You may also be interested in other schools of Darjeeling. Mahbert High School is located in Siliguri, Darjeeling. follows the ICSE board. The school has English medium. Good Shepherd School Darjeeling is located in Bagdogra, Darjeeling. follows the ICSE board. The school has English medium. Hebron English School is located in Bagdogra, Darjeeling. It was established in 1981. This school follows the ICSE board. The school has English medium. Alphonsa School is located in Siliguri, Darjeeling. follows the ICSE board. The school has English medium. 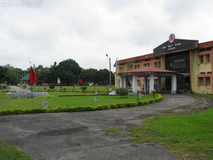 Air Force School Darjeeling is located in Bagdogra, Darjeeling. It was established in 1963. This school follows the CBSE board. The school has English medium. Army Public School Bengdubi is located in Bengdubi, Darjeeling. It was established in 1981. This school follows the CBSE board. The school has English medium. Auxilium Convent School is located in Siliguri, Darjeeling. It was established in 1993. This school follows the CBSE board. The school has English medium. 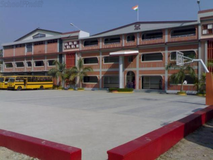 Kendriya Vidyalaya, Sukna, a temple of learning was established in on 1977, of Guwahati Region by Kendriya Vidyalaya Sangathan, an autonomous body of HRD Ministry, Govt. of India is sincerely engaged in the pursuit of excellence as pace setter institution for providing quality education. The aim of the Vidyalaya has always been to develop the best talent in children and to prepare them for the challenges of the challenging world through emphasis on self discipline, high intellectual achievements and physical fitness. Kendriya Vidyalaya Bagdogra is located in Bagdogra, Darjeeling. It was established in 1981. This school follows the CBSE board. The school has English medium. 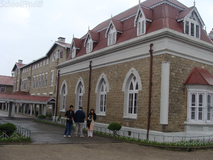 Darjeeling has many British-style public and private schools, which managed to attract pupils from all over India and also from few neighboring countries. Darjeeling is known not only for being one of the most visited hill station of India but also for top schools in Darjeeling. 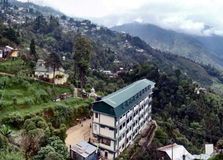 The list of schools in Darjeeling will include the best boarding schools of this hill stations known for offering the finest education along with the facilities for extracurricular activities for the overall growth of the students. You and your child deserve to be looking only at the top CISCE / ICSE schools in Bengdubi - Darjeeling. We at Sqoolz, have created an all-encompassing list of best CISCE / ICSE schools in Bengdubi - Darjeeling so that you can pick the one that is most suitable for your needs. Is the location viable? Is the school big enough? What additional facilities do they provide? Find answers to all the important questions with us. You can even take our virtual tour and see for yourself whether or not the school fits your child's needs.